Are you looking for a compact and luxurious sofa set for your living room? We invite you to explore our Leather Sofa Set Boston 3-2-1 LED. It is a remarkably designed sofa set presented with impeccable features that truly sets it apart. Its design is focused on modernistic minimalism and the features are tilted towards the functionality. It has stunning dual color tone embarking upon the rich leather materials. It has multifunctional headrests that can be adjusted according to your comfort and the armrests are also loaded with functional highlights. There are remote-controlled LED lights and varnished storage compartments under these wide armrests. And, we believe that your pursuit will end here! The product pictures above show you a variety of colors of our sofas but not necessarily the exact product you intend to order. The actual color may slightly vary from the picture due to your computer settings and your choice of material. Please read the exact description and do not hesitate to contact us for further details. Some parts may require self-assembly. 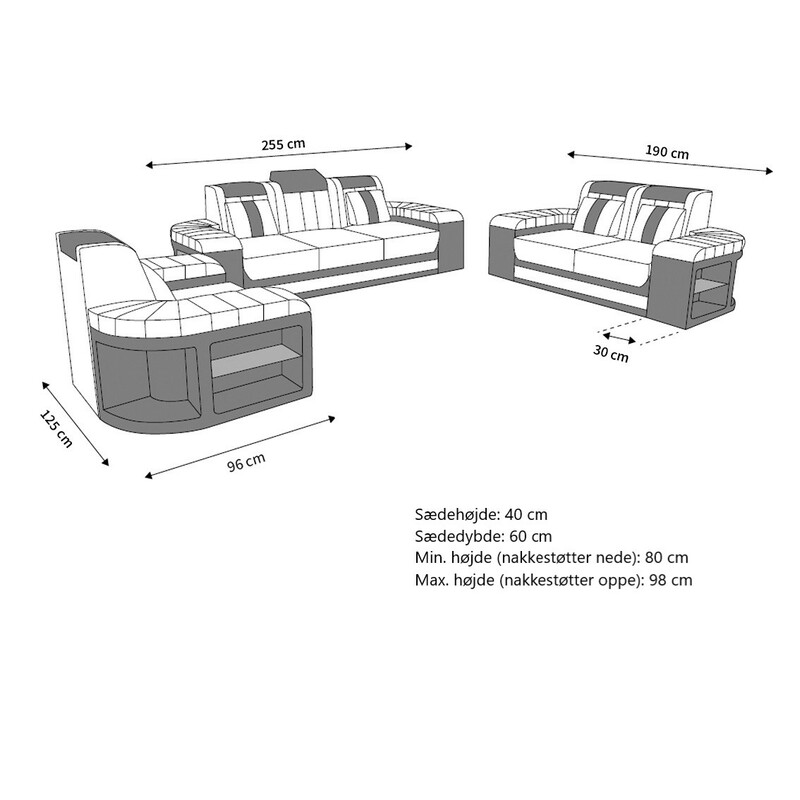 This design is patented and only available at SofaDreams.